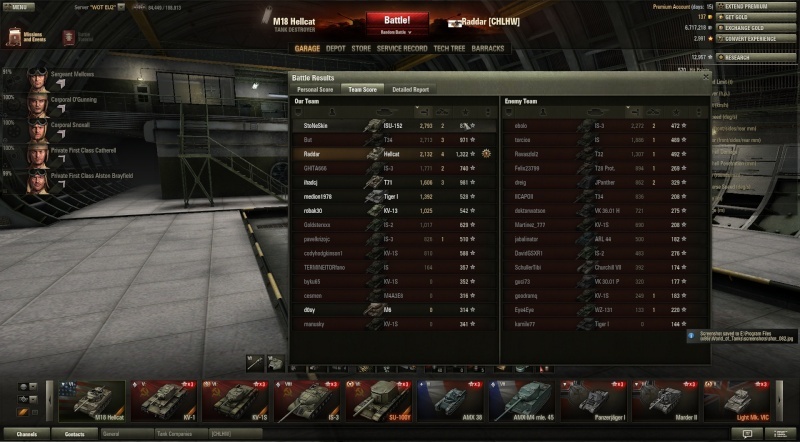 Me and Raddar have played many games together over the years so it is only natural that we would eventually play World of Tanks. Raddar has played for alot longer than me so for me it is still just a learning experience, but we still have alot of fun regardless. Below are some replays and screenshots of some of our more memorable battles. We have had a few "Brothers in Arms" battles but this was our first ever "Crucial Contribution", 6 kills each, a handful of medals, and some really sharp shooting. My Ace Tanker hellcat game, no Acogshot in this one. 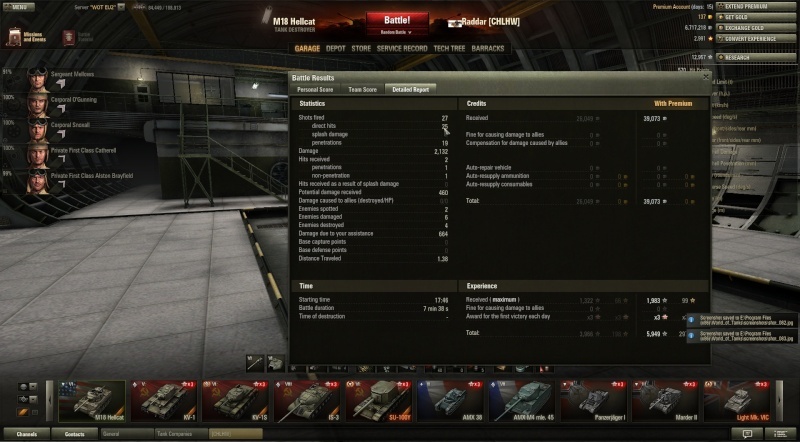 This is a teir 8 game in my poor little teir 6, i also dont have the top gun in my hellcat giving me low pen and low damage i also have an 80% crew making this grind painful. 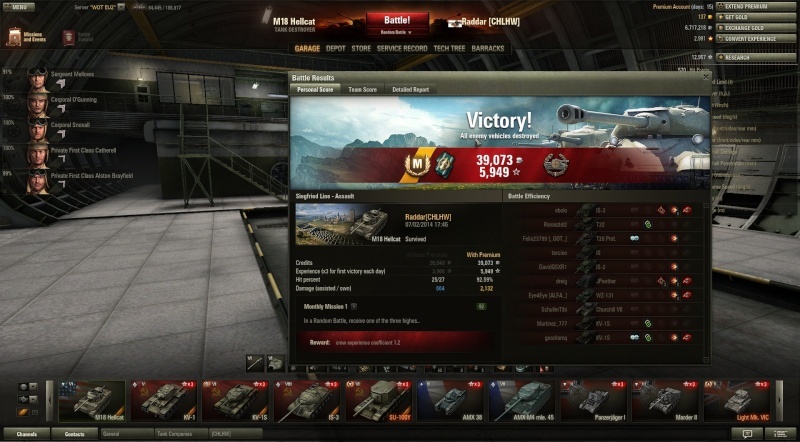 I wanted to show this game because if your like me and you get very frustrated at MM along with stock tanks, this game will show you that Patience with a little bit of luck can be rewarding even when its all stacked against you.